NeighborWorks Umpqua is seeking an experienced HomeOwnership Center (HOC) Director to integrate our programs in such a way as to ensure exceptional service delivery to an expanded customer base. With a mission to promote stable, vibrant communities by providing our neighbors with comprehensive financial empowerment and homeownership services, NeighborWorks Umpqua (NWU) has been providing services and programs that enhance lives and expand housing options for nearly 30 years. 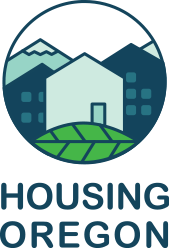 The HOC Director will be responsible for strategic direction of financial capability, rehab, shared-equity housing, and homeownership programs, including supporting the organization’s path through NWA’s Sustainable Business Initiative. You will oversee implementation of grants, develop strategic relationships with new partners to achieve programmatic goals, and supervise staff. The HOC Director is a key member of the leadership team, whose mission is to accomplish the goals set out in the Strategic Plan.